In 1979 I married Jann, Ralph O’Quinn’s daughter. When visiting his home I often noticed Ralph busy in his shop experimenting with various “goops”. Once when I asked him about his “leather waterproofing” he said, ''Here, put some of this on your shoes.'' So I rubbed some on my shoe then ran water over it in the nearby utility sink. I watched with surprise and delight as the water just beaded up and ran off. Suddenly in my mind I was back on the cold wet steep slopes of the Oregon Cascade Mountains. For a brief period I had been a tree planter there and I remembered the long daily two hour ride home after a grueling day of work.. Each night several of the guys would warm their boots then melt this heavy waxy product and smear it on their boots. All that effort for some very tired young men who only hoped for a few extra minutes of dry feet the following day and then do it all over again the next night. When I saw with my own eyes the near miracle of AQUASEAL the thought came, “Every American who knows what its like to get wet feet in the great outdoors needs this product. It’s so easy to use, and it apparently works!” Little did I know that this thought would become my personal mission in just a few short years. Less than two years later while still in college I began working part time for Ralph and then full time when I graduated. With Ralph’s capable leadership inroads were being made into the camping and hiking industries through some big name retailers. Since then a number of key retailers with testing labs, Good Housekeeping Magazine, Backpacker Magazine and various independent testing labs have tested AQUASEAL waterproofing, conditioning and cleaning products for effectiveness, ease of use and dependability. Test results have been extremely positive and have revealed that Ralph done good, very good. To have it confirmed by some of the best of the best in the industry that AQUASEAL products are right on top is a wonderful testament to Ralph's innovative and tenacious spirit. 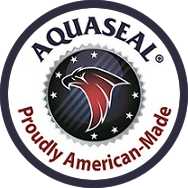 Over the past nearly 35 years and counting I have watched with sheer delight as sales of AQUASEAL For Leather products have thrived in many and varied outdoor industries; hunters, construction, other outdoor workers, hikers, soccer players, motorcyclists, golfers, equestrian enthusiasts, boating enthusiasts, etc., have all benefited. Literally millions of people, here in the USA, Canada, Europe, Australia, Asia and New Zealand have saved money by preserving their costly leather shoes, boots and other quality leather goods. Perhaps you are experiencing some challenges in your own life that seem too big to handle by yourself. We would encourage you to call on the One who has compassion for all, who loves us ALL and gave himself for us on the cross. His name is Jesus Christ.